Boracay, the most popular destination for tourists in the Philippines, is expecting up to 20 international cruise ships to visit the island in 2015. 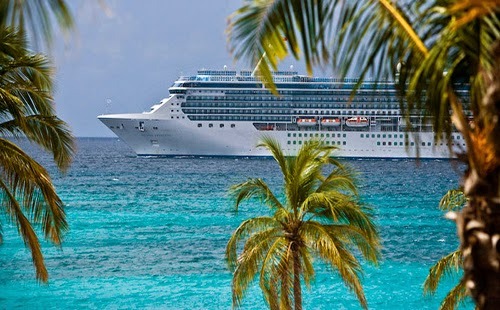 According to the country's Dept of Tourism, last year just 13 cruise ships made port calls to Boracay, including the MS Costa Victoria, operated by Costa Crociere, which brought 1,500 passengers to the paradise island. This year, MS Century Celebrity, operated by Celebrity Cruises, will embark on its first ever voyage to the paradise island on February 3rd. Seabourn Sojourn, operated by Carnival Corporation, will also visit on March 6th during its 14-day Pearl of the Philippines and Borneo cruise. And many others will follow! Meanwhile, the island’s two ports - Cagban and Caticlan – are being expanded to better accommodate more cruise visitors. Caticlan port administrator Niven Maquirang says that all in all, the island is expecting 1.6 million tourist arrivals for Boracay, including those who will travel by air. In 2014, visitor arrivals in Boracay totaled more than 1.4 million - slightly short of the Dept of Tourism's goal of 1.5 million. Koreans remained the top tourists followed by Chinese, Taiwanese, Russians, and lastly Americans. The beautiful resort island, located near the Aklan province, has been consistently rated the best travel destination by all the top international travel magazines. As of January 2015, the island has three standard class hotels, 26 Class AAA resorts, 10 Class AA resorts, one Class A resort, and more than 8,000 accommodation rooms. Activities include water sports, land tours, island hopping, shopping, coral transplantation, night life, and more.